For my cover, I’ve been very happy with the free cover-creator available through CreateSpace. You can use your own pictures or choose one of theirs. The covers for my books, Defeat Fear Forever and Annie’s Adventures are both through CreateSpace, as well as two of my favorite authors, Nancy Watrud’s What Kids Pray and Sonya Noble’s We Stand Together. Another option is designing my own cover completely through Gimp. Here is a well written (with pictures) how-to article about it through Self-Published Author’s Lounge. This is a really exciting place to be. I have to write the final chapter and a short conclusion to tie it all together. Then, I just have to revise and edit. I’ve done most of the formatting as I go, so that shouldn’t change much. My ISBN’s I’ll get through Smashwords and CreateSpace. Then, it’ll be time to publish! So far, the response has been very good. The Lord has shown me so much through this one. It’s my choice whether or not I allow joy into my life. I can have (and keep!) the joy of the Lord all the time, but I have to stay in His Spirit. I have to make a point to do that, every day, every moment of every day. There’s been some ups and downs, but God is so faithful. I love walking with Him. He is so patient with me. 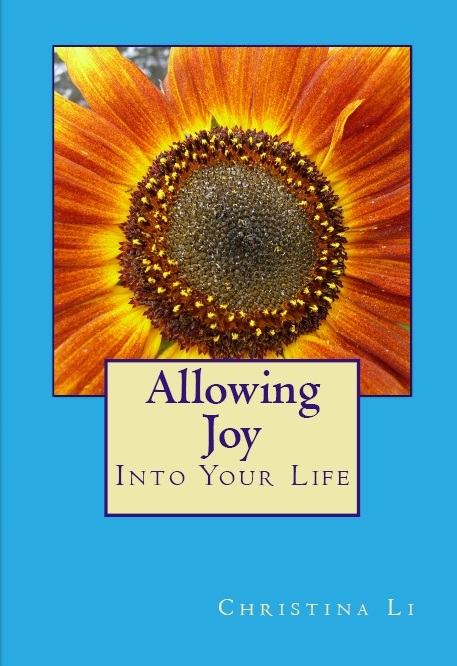 I can’t wait to have Allowing Joy Into Your Life up and available to the world! Why Self-Publish with Smashwords(e-book) and CreateSpace(print)? To be honest, I didn’t want to wait. It takes months for publishers to just look at a book much less decide whether or not they want to publish it. Also, publishers don’t like risk and therefore aren’t that excited about new authors. They prefer proven sales. (Makes sense to me.) Lastly, I thought people really needed to hear how to Defeat Fear Forever sooner, rather than later. For me this is more about ministry than money. I want to bless people more than I want to profit. Why choose Smashwords? I was really impressed by Mark Coker, founder of Smashwords. He made publishing easy and accessible to everyone. He created a resource that makes e-books available to just about everyone on the planet (for just about any reading device), and he’s constantly working to make Smashwords even better. He is also quick to respond to questions and problems. He believes in Indie authors and he helped me to believe in myself. One of the best things about Smashwords is it’s free to publish with them. That sounds win/win to me. In exchange for an incredibly small amount from each sale, I get to be listed with Smashwords and extended distribution outlets world-wide and I get my own author page. How cool is that? For a newbie, I think these two sources are a wonderful place to start. There is something indescribable about seeing your own name on a book. I’d love to see others experience their dreams come true as well.